FCA Packaging supplies a broad range of highly customized, heavy-duty industrial packaging products and services to businesses throughout the country, including major OEM’s. We design, build and manufacturing shipping and storage products made of wood, steel, corrugated or hybrid packaging as well as expendable, reusable or returnable products. We have manufacturing plants all over the country, including our location in Rocky Mount, North Carolina. 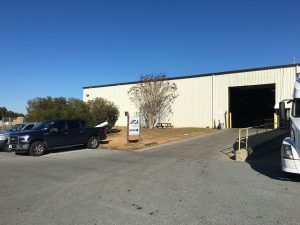 From this manufacturing plant, we’ve serviced businesses in surrounding communities such as Raleigh and Durham, while also helping our corporate office with national clients. Each year our products protect billions of dollars of our customers’ products, whether they are being stored in warehouses or shipped across the country. For over two decades, FCA Packaging has designed and manufactured custom packaging of all sizes and types for the world’s leading OEMs. We’ve worked with companies that require heavy duty products such as the Aerospace and Defense Industries to fabric manufacture that require smaller and lighter packaging. We also work extensively with the medical sector, energy, film, and electrical equipment, as well as companies that manufacture engines and components. There is no one-size fits all approach to our work. Too often a product becomes damaged during shipping because it’s in a container not specifically designed for it. It shifts during shipping, potentially even damaging surrounding products. By the time it arrives it’s of no use to the recipient. We ensure through design and testing that this doesn’t happen at the lowest cost and highest value to your organization. We design, test, and build customized packaging solutions designed to ensure the product is safe at all times. From a durable outside container to soft packaging inside, the product is safe whether it’s being transferred across town or being shipped overseas. Not only do we help reduce costs with our packaging, but our products help lower freight costs, storage costs and the labor costs associated with assembly and disassembly. Similarly, our skids and pallets are custom made and designed to withstand the transporting or storing of even the heaviest products, such as aviation engines and power turbines. These aren’t the pallets that crack under the slightest strain. They’re manufactured from engineered wood, and yet are price comparable to traditional lumber products, while offering superior strength. Our designers and builders have a high level of expertise, as well as exacting standards. They take the time to understand your needs and then fully test the design they come up with. Our ISTA-certified testing lab tests ensure this. We support all of our packaging products with a variety of value added services. This involves everything from designing, engineering, and testing to developing prototypes. We can help with repairs and refurbishing of your packaging products or recycling of any out of date or damaged containers. We can even provide on-site services if needed. Our work will reduce your packaging costs and the lead time of your product receipt. FCA Packaging has developed a reputation for its quick response time, even to customized products. We can often complete a custom-made product within 24 hours and for those jobs that require a faster response, we can often have it completed within as little as 4 hours. Contact FCA Packaging at Rocky Mount today to learn how our company can assist you in your shipping or storage needs. Or call our corporate office to learn how we can help you with your shipping or production needs on a national basis.